The sanction of suspended sentence set out under s 12 of the Criminal (Sentencing Procedure) Act 1999 was introduced as a sentencing option on 3 April 2000 following a recommendation of the NSW Law Reform Commission. The recommendation found that suspended sentences were very useful in situations where the seriousness of an offence was ameliorated by mitigating circumstances justifying the offender’s conditional release.1 Suspended sentences, it was said, were appropriate in circumstances where other forms of conditional release did not allow for a sufficient element of denunciation of the offence. Sufficient time has now elapsed since the reintroduction of the suspended sentence to allow meaningful examination of this sanction. 1. 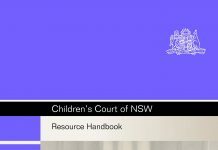 How often are suspended sentences imposed in the Local, higher and Children’s Courts of NSW? 2. What types of offences attract suspended sentences most often in the Local and higher courts? 3. What is the most common duration of suspended sentences imposed by the Local and higher courts? 4. What has been the impact of suspended sentences on sentencing patterns in the Local and higher courts? 5. Has there been any “net widening” or “sentence escalation”? In other words, are judicial officers imposing suspended sentences instead of less severe sanctions such as bonds and community service orders? A suspended sentence is a sentence of imprisonment that has been imposed but not executed. Although the term of imprisonment is specified to be of certain duration, the offender is permitted to remainin the community for the whole of the sentence provided he or she enters into a good behaviour bond and abides by the conditions set down by the court. In summary, a court that imposes a sentence of two years imprisonment or less may make an order suspending the sentence on condition that the offender enters into a good behaviour bond for a period not exceeding the term of the sentence, provided the offender is not subject to another sentence of imprisonment. The narrow view would not allow the court to revisit the setting of the non-parole period at the time of revocation. This is, in part, because of the use of the term “already” in s 99(1)(c)(ii) quoted above. All this raises the practical problem that a court must anticipate whether special circumstances apply at the time of the suspension of the sentence rather than at the time of the revocation. The broad reading of s 12(3) is that all of the provisions in Part 4 which, in the words of s 12(3), “… deals with setting the non-parole period and the balance of the term of the sentence” apply. Thus, although s 44 requires the court to set a non-parole period, it may decline to set the non-parole period for any of the reasons in s 45(1)(a), (b) and (c) and set a fixed term. Section 45(1)(c) refers to “… any other reason that the court considers sufficient”, for example, a decision that an offender will not benefit from a parole period. There is another more obvious reason why s 12(3) cannot only be referring to s 44. Section 46 provides that where a court imposes a sentence of imprisonment of six months or less it is not to set a non-parole period. Section 46 must still apply to suspended sentences of imprisonment as well as full-time sentences of imprisonment. No doubt the Court of Criminal Appeal will resolve these difficult issues in due course. “I can envisage a case where a court might believe it to be appropriate to impose a suspended sentence for one offence, and at the same time impose a short sentence for another offence even if that sentence were to be served in a custodial situation. Provided that the custodial sentence is imposed after the suspended sentence, section 12 would not appear to prevent such a course. WHERE DO THEY FIT IN THE SENTENCING HIERARCHY? WHEN IS A SUSPENDED SENTENCE APPROPRIATE? “Broadly stated, as Kirby J pointed out in Dinsdale, the material considerations are the objective features of the offence and the personal considerations applicable to the offender including considerations of rehabilitation and mercy. HOWEVER, THE NSW COURT OF CRIMINAL APPEAL HAS HELD THAT A SUSPENDED SENTENCE IS NOT AN APPROPRIATE PENALTY WHERE THE COURT DECLARES THAT THE OFFENCE FOR WHICH THE OFFENDER IS BEING SENTENCED IS ONE WHERE THE ELEMENT OF GENERAL DETERRENCE IS OF PARTICULAR IMPORTANCE. FROM THE PRECEDING ANALYSIS IT SEEMS THAT THE EXERCISE OF THE DISCRETION TO SUSPEND A SENTENCE OF IMPRISONMENT MUST NOT LOSE SIGHT OF THE OBJECTIVE CIRCUMSTANCES OF THE OFFENCE. THEN THERE MUST BE A FINE BALANCING OF THE VARIOUS PURPOSES OF PUNISHMENT WITH PARTICULAR BUT NOT ALWAYS EXCLUSIVE CONSIDERATION OF THE COMPETING PRINCIPLES OF REHABILITATION (OFTEN SEEKING TO JUSTIFY SUSPENSION) AND GENERAL DETERRENCE (OFTEN WORKING AGAINST SUSPENSION). (iii) subject to the requirements of Part 4 having been complied with, the sentence takes effect. IN R V HYDE,38 THE NSW COURT OF CRIMINAL APPEAL HELD THAT WHERE A SUSPENDED SENTENCE HAS BEEN BREACHED, THE SENTENCE OF IMPRISONMENT SUBSEQUENTLY IMPOSED CANNOT EXCEED THE PORTION OF THE ORIGINAL SENTENCE THAT HAD BEEN SUSPENDED. THE SENTENCING JUDGE IN THAT CASE HAD SUSPENDED ONLY PART OF THE SENTENCE, AND IT WAS ONLY THAT PART OF THE SENTENCE WHICH COULD BECOME OPERATIVE FOLLOWING THE REVOCATION OF THE BOND. SUCH A SITUATION WOULD BE RARE TODAY SINCE PARTIAL SUSPENSION OF A SENTENCE IS PRECLUDED BY S 12(1)(A), AND IS ONLY AVAILABLE FOR COMMONWEALTH OFFENCES. A LIMITATION OF THE CURRENT PROVISIONS ON SUSPENDED SENTENCES RELATES TO THE TERM OF THE GOOD BEHAVIOUR BOND. IN THE AUTHORS’ OPINION, IT IS DEBATEABLE WHETHER RESTRICTING THE TERM OF THE BOND TO THE LENGTH OF THE PERIOD OF SUSPENSION IS A DESIRABLE POLICY. PARTICULARLY IN RELATION TO SHORT TERM SUSPENDED SENTENCES THERE WOULD APPEAR TO BE NO GOOD REASON FOR NOT GIVING COURTS POWER TO EXTEND THE BOND BEYOND THE TERM OF THE SUSPENDED SENTENCE OF IMPRISONMENT. SUCH AN EXTENDED BOND WOULD PROVIDE FOR THE POSSIBILITY OF INCREASING THE PROBATIONARY PERIOD AND THEREFORE IMPROVE THE PROSPECTS OF REHABILITATION OF THE OFFENDER AS WELL AS PROVIDE FOR INCREASED LEVELS OF COMMUNITY PROTECTION. A MORE FLEXIBLE FORM OF SUSPENDED SENTENCE WOULD ALSO INVITE GREATER USE OF THIS DISPOSITION. THE POWER TO IMPOSE A SUSPENDED SENTENCE EXISTS FEDERALLY AND IN EVERY STATE AND TERRITORY JURISDICTION.39 THE JURISDICTIONS VARY IN RELATION TO THE MAXIMUM PERIOD FOR WHICH A SENTENCE CAN BE SUSPENDED, WHETHER SUSPENDED SENTENCES CAN BE IMPOSED AT THE SAME TIME AS SOME OTHER FORM OF IMPRISONMENT, AND THE RAMIFICATIONS OF A BREACH DURING THE SUSPENSION PERIOD. IN RELATION TO COMMONWEALTH OFFENCES, S 20(1)(B) OF THE CRIMES ACT 1914 (CTH) PROVIDES FOR THE CONDITIONAL RELEASE OF AN OFFENDER EITHER FORTHWITH OR AFTER HE OR SHE HAS SERVED A SPECIFIED PERIOD OF IMPRISONMENT.40 THIS MEANS THAT PARTIALLY SUSPENDED SENTENCES MAY BE IMPOSED FOR COMMONWEALTH OFFENCES BUT NOT FOR STATE OFFENCES IN NSW. AGAIN, THE LOSS OF THE ABILITY TO PARTIALLY SUSPEND A SENTENCE OF IMPRISONMENT FOR STATE OFFENCES REDUCES THE FLEXIBILITY OF THIS SENTENCE. THIS REASONING IS SIMPLISTIC AND ASSUMES THAT A SUSPENDED SENTENCE IS NO PUNISHMENT AT ALL. HOWEVER, THE OFFENDER HAS BEEN PROSECUTED, CONVICTED AND HAS FACED THE SENTENCING PROCESS WITH THE REAL THREAT OF GOING TO PRISON. THE ARGUMENT ALSO SEEMS TO ASSUME THAT THE SENTENCE IS SUSPENDED WITHOUT ANY RESTRICTIONS ATTACHED TO THE GOOD BEHAVIOUR BOND, SUCH AS PROBATIONARY SUPERVISION. IT ALSO DOES NOT ACKNOWLEDGE THE STIGMA OF HAVING SUCH A SENTENCE ENTERED ON THE OFFENDER’S RECORD. IT IS FAIR TO SAY THAT SUSPENDED SENTENCES GENERATE A DEGREE OF CONTROVERSY AND A CONFLICT SEEMS TO EXIST BETWEEN JUDICIAL PERCEPTIONS AND THOSE OF THE PUBLIC.55 ON THE ONE HAND, THE LEGISLATURE AND SOME JUDGES APPEAR TO REGARD THE SUSPENDED SENTENCE AS A SEVERE SANCTION, WHILE OTHERS SEEM TO REGARD IT AS A SOFT OPTION.56 WHEREVER IN THE SCALE OF SEVERITY IT LIES, THIS SENTENCING OPTION REMAINS A SANCTION THAT WARNS, OR PUTS ON NOTICE, TO THE MAXIMUM EXTENT POSSIBLE, THAT THE CUSTODIAL TERM EMBODIED IN THE ORDER MAY BE ACTIVATED IF THE OFFENDER DOES NOT COMPLY WITH ITS TERMS. IN THIS RESPECT ITS FORCEFULNESS AND REPUTATION DEPENDS ON THE CAREFUL SELECTION OF CASES AND ON THE EXTENT TO WHICH THE COURTS ENSURE A TOUGH APPROACH TO ANY BREACHES THAT MAY OCCUR. IN THIS PART WE EXAMINE A NUMBER OF QUESTIONS RELATING TO SUSPENDED SENTENCES, INCLUDING HOW OFTEN ARE THEY BEING IMPOSED, WHICH OFFENCES ATTRACT THE MOST SUSPENDED SENTENCES, WHAT IS THE MOST COMMON DURATION FOR THEM, WHAT IMPACT HAVE THEY HAD ON SENTENCING PATTERNS, AND HAVE THEY PRODUCED A “NET-WIDENING EFFECT”? SUSPENDED SENTENCES BECAME AVAILABLE AS A PENALTY OPTION IN THE LOCAL AND HIGHER COURTS ON 3 APRIL 2000 AND THE FOLLOWING ANALYSIS EXAMINES SENTENCING DATA SPANNING FIVE AND A HALF YEARS — APPROXIMATELY TWO YEARS AND NINE MONTHS IN EACH BEFORE57 AND AFTER58 PERIOD. THE DATA WERE COLLECTED FROM THE LOCAL AND HIGHER COURTS OF NEW SOUTH WALES, PROVIDED BY THE BUREAU OF CRIME STATISTICS AND RESEARCH AND CONTAINED IN JIRS.59 IN ADDITION, THE CHILDREN’S COURT DATA WERE PROVIDED BY THE NSW DEPARTMENT OF JUVENILE JUSTICE. THE ANALYSIS EXAMINES THE TEN MOST COMMON OFFENCES FOR WHICH A SUSPENDED SENTENCE WAS IMPOSED. WHERE APPLICABLE EACH OFFENCE INCLUDES INCHOATE OFFENCES (SUCH AS ATTEMPT, CONSPIRACY, ETC) AND COMPLICITY OFFENCES (SUCH AS ACCESSORY BEFORE THE FACT AND AID AND ABET). THE EXCEPTION IS ACCESSORY AFTER THE FACT WHICH USUALLY CARRIES A LOWER STATUTORY MAXIMUM PENALTY.63 IT SHOULD BE NOTED THAT THE SUBSTANTIVE OFFENCE ACCOUNTS FOR THE MAJORITY OF CASES WITHIN EACH OFFENCE GROUP. OVERALL, IN THE PERIOD FROM 3 APRIL 2000 TO 31 DECEMBER 2002, THERE WERE 9,278 INSTANCES WHERE A SUSPENDED SENTENCE WAS IMPOSED IN THE LOCAL COURT, ACCOUNTING FOR 4.2% OF ALL PENALTIES HANDED DOWN. THE MEDIAN TERM WAS NINE MONTHS AND THE MOST COMMON TERM WAS 12 MONTHS (26.3%), CLOSELY FOLLOWED BY SIX MONTHS (25.9%). SUPERVISION BY THE PROBATION AND PAROLE SERVICE (PPS) WAS A CONDITION OF THE BOND IN JUST OVER A HALF (53.9%) OF ALL SUSPENDED SENTENCES. THERE WAS A HIGHER RATE OF SUSPENDED SENTENCES IMPOSED IN THE HIGHER COURTS (894 OR 11.7% OF ALL PENALTIES). THE MEDIAN TERM WAS 18 MONTHS AND THE MOST COMMON TERM WAS 24 MONTHS— ALMOST HALF (44.6%) THE SUSPENDED SENTENCES IMPOSED WERE FOR THIS DURATION. TERMS OF 12 MONTHS (19.9%) AND 18 MONTHS (19.1%) WERE ALSO COMMONLY IMPOSED. NOT SURPRISINGLY, A GREATER PROPORTION OF SUSPENDED SENTENCES IN THE HIGHER COURTS REQUIRED SUPERVISION BY THE PPS (68.0%). 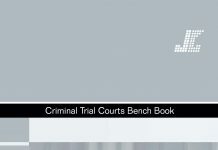 TABLES 1 AND 2 PRESENT THE TEN MOST COMMON OFFENCES FOR WHICH A SUSPENDED SENTENCE WAS IMPOSED IN THE LOCAL COURTS AND HIGHER COURTS RESPECTIVELY. IT SHOULD BE NOTED THAT THE TOP TEN OFFENCES DO NOT REPRESENT THE OFFENCES MOST LIKELY TO BE GIVEN A SUSPENDED SENTENCE. IN THE LOCAL COURTS, THE TEN MOST COMMON OFFENCES ACCOUNT FOR ALMOST TWO-THIRDS (63.7%) OF ALL SUSPENDED SENTENCES IMPOSED. THE MOST COMMON OFFENCE WAS DRIVE WHILST DISQUALIFIED WITH 1,348 INSTANCES (14.5%), FOLLOWED BY COMMON ASSAULT (926 OR 10.0%) AND LARCENY (841 OR 9.1%). IN THE HIGHER COURTS, THE TEN MOST COMMON OFFENCES ACCOUNT FOR MORE THAN HALF (56.8%) OF ALL SUSPENDED SENTENCES IMPOSED. THE MOST COMMON OFFENCE WAS, BY FAR, SUPPLY LESS THAN A COMMERCIAL QUANTITY OF A PROHIBITED DRUG WITH 174 INSTANCES (19.5%). ROBBERY, BEING ARMED OR IN COMPANY, WAS THE NEXT MOST COMMON OFFENCE (82 OR 9.2%), FOLLOWED BY ROBBERY OR STEAL FROM THE PERSON (54 OR 6.0%). 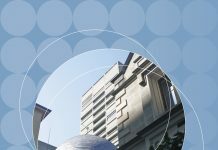 WHAT HAS BEEN THE IMPACT OF SUSPENDED SENTENCES ON SENTENCING PRACTICE IN THE LOCAL AND HIGHER COURTS? IN ORDER TO MAKE MEANINGFUL COMPARISONS IN THE PRE AND POST SUSPENDED SENTENCE PERIODS, THE TEN OFFENCES WITH THE MAJORITY OF SUSPENDED SENTENCES IMPOSED IN EACH JURISDICTION WERE SELECTED FOR SPECIAL ANALYSIS. PENALTIES LESS SEVERE THAN SUSPENDED SENTENCES IN THE HIERARCHY OF PENALTIES. THESE INCLUDE S 10 DISMISSALS AND GOOD BEHAVIOUR BONDS AND S 9 BONDS UNDER THE CRIMES (SENTENCING PROCEDURE) ACT 1999, S 19B DISMISSALS AND RECOGNISANCES AND S 20(1)(A) RECOGNISANCES UNDER THE CRIMES ACT (CTH) 1914, RISE OF THE COURT, FINES AND COMMUNITY SERVICE ORDERS. SUSPENDED SENTENCES UNDER S 12 CRIMES (SENTENCING PROCEDURE) ACT 1999 AND S 20(1)(B) CRIMES ACT (CTH) 1914. PENALTIES MORE SEVERE THAN SUSPENDED SENTENCES IN THE HIERARCHY OF PENALTIES, INCLUDING PERIODIC DETENTION, HOME DETENTION AND FULL-TIME CUSTODY. TABLE 3 COMPARES THE TRENDS IN PENALTIES IMPOSED IN THE PRE (5 JULY 1997 TO 2 APRIL 2000) AND POST (3 APRIL 2000 TO 31 DECEMBER 2002) SUSPENDED SENTENCE PERIODS IN THE LOCAL COURTS. AS ALREADY MENTIONED, SUSPENDED SENTENCES IN THE LOCAL COURTS ACCOUNTED FOR 4.2% OF ALL PENALTIES IMPOSED WHERE IMPRISONMENT WAS AN AVAILABLE PENALTY. AS TABLE 3 SHOWS, THESE APPEAR TO HAVE BEEN USED AT THE EXPENSE OF LESS SEVERE PENALTIES WITH A DROP OF 3.6% (FROM 89.3% TO 85.7%) COMPARED TO A DROP OF 0.5% (10.7% TO 10.2%) IN MORE SEVERE PENALTIES. ALL TEN OFFENCES IDENTIFIED IN TABLE 3 SHOWED A DROP IN THE PROPORTION OF CASES WHERE A PENALTY LESS SEVERE THAN A SUSPENDED SENTENCE WAS IMPOSED. FURTHER, ALL OFFENCES, WITH THE EXCEPTION OF ASSAULT WITH INTENT TO COMMIT A SERIOUS INDICTABLE OFFENCE ON CERTAIN OFFICERS, SHOWED A GREATER DECREASE IN THE USE OF PENALTIES LESS SEVERE THAN SUSPENDED SENTENCES THAN IN THOSE MORE SEVERE THAN SUSPENDED SENTENCES. THE OFFENCE WITH THE GREATEST DROP IN THE USE OF PENALTIES LESS SEVERE THAN SUSPENDED SENTENCES WAS SUPPLY PROHIBITED DRUG. SUSPENDED SENTENCES ACCOUNTED FOR 16.3% OF ALL PENALTIES IMPOSED FOR THIS OFFENCE. INTERESTINGLY, ALL OF THOSE SUSPENDED SENTENCES APPEAR TO HAVE COME FROM PENALTIES LESS SEVERE THAN SUSPENDED SENTENCES (FROM 65.1% PRE TO 48.8% POST). SUSPENDED SENTENCES WERE IMPOSED FOR 13.3% OF BREAK, ENTER AND STEAL OFFENCES. THE MAJORITY OF THESE APPEAR TO HAVE COME FROM PENALTIES LESS SEVERE THAN SUSPENDED SENTENCES WITH A DROP OF 12.3% (FROM 49.5% PRE TO 37.2% POST). AT THE OTHER END OF THE SCALE, THERE WAS ONLY A SMALL DROP (1.0%) IN THE USE OF PENALTIES MORE SEVERE THAN SUSPENDED SENTENCES (FROM 50.5% PRE TO 49.5% POST). DRIVE WHILST DISQUALIFIED — WHERE AROUND ONE IN TEN OFFENDERS (10.7%) RECEIVED A SUSPENDED SENTENCE — SHOWED A SIMILAR DROP (12.7%) IN THE USE OF PENALTIES LESS SEVERE THAN SUSPENDED SENTENCES (FROM 76.5% PRE TO 63.8% POST). AT THE SAME TIME, THERE WAS A SLIGHT INCREASE (2.0%) IN THE USE OF PENALTIES MORE SEVERE THAN SUSPENDED SENTENCES (FROM 23.5% PRE TO 25.5% POST). THE ONLY OTHER TOP TEN OFFENCE WHICH EXPERIENCED AN INCREASE IN THE USE OF PENALTIES MORE SEVERE THAN SUSPENDED SENTENCES WAS DRIVE WHILST REFUSED OR CANCELLED (1.3% FROM 2.9% PRE TO 4.2% POST). A POSSIBLE EXPLANATION IS THAT OUR DATA FOR THESE DRIVING OFFENCES CANNOT DISTINGUISH BETWEEN FIRST AND SUBSEQUENT OFFENDERS, THE LATTER OF WHICH ARE SUBJECT TO AND MORE LIKELY TO RECEIVE HARSHER SENTENCES. 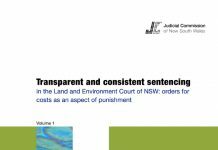 A PENALTY LESS SEVERE THAN SUSPENDED SENTENCE: INCLUDES S 10 OR S 19B (CTH) DISMISSALS AND S 10 OR S 19B (CTH) RECOGNISANCES, RISE OF COURT, FINES, S 9 BONDS OR S 20(1)(A) (CTH) RECOGNISANCES AND COMMUNITY SERVICE ORDERS. B PENALTY OF SUSPENDED SENTENCE: INCLUDES S 12 SUSPENDED SENTENCES OR S 20(1)(B) (CTH) RECOGNISANCES. C PENALTY MORE SEVERE THAN SUSPENDED SENTENCE: INCLUDES PERIODIC DETENTION, HOME DETENTION AND FULL-TIME CUSTODY. D THE RELATIVELY FEWER NUMBER OF CASES IN THE PRE PERIOD CAN BE EXPLAINED BY THE MOVEMENT OF THESE OFFENCES FROM THE TRAFFIC ACT 1909 TO THE ROAD TRANSPORT (DRIVER LICENCING) ACT 1998 AND THE ROAD TRANSPORT (SAFETY AND TRAFFIC MANAGEMENT) ACT 1999. THESE OFFENCES COMMENCED ON 1 DECEMBER 1999. D THE RELATIVELY FEWER NUMBER OF CASES IN THE PRE PERIOD CAN BE EXPLAINED BY THE FACT THAT THIS OFFENCE COMMENCED ON 7 AUGUST 1998. THE FIRST CASE WAS FINALISED ON 16 DECEMBER 1998, THE SECOND CASE WAS FINALISED ON 28 MAY 1999 AND THEN MORE FREQUENTLY. ASSAULT WITH INTENT TO COMMIT A SERIOUS INDICTABLE OFFENCE ON CERTAIN OFFICERS, WAS THE ONLY TOP TEN OFFENCE WHERE THERE WAS A GREATER DECREASE IN THE USE OF PENALTIES MORE SEVERE THAN SUSPENDED SENTENCES (3.9% FROM 13.5% PRE TO 9.6% POST) THAN IN THOSE LESS SEVERE THAN SUSPENDED SENTENCES (1.0% FROM 86.5% PRE TO 85.5% POST). FIGURE 1 DISPLAYS THE FULL RANGE OF SENTENCES IMPOSED FOR ALL OFFENCES IN THE LOCAL COURT FOR THE PRE AND POST PERIODS. SINCE SUSPENDED SENTENCES BECAME AVAILABLE AS A PENALTY OPTION THERE HAS BEEN A VERY SLIGHT DECREASE IN THE USE OF PENALTIES MORE SEVERE THAN SUSPENDED SENTENCES. THE USE OF FULL-TIME CUSTODY AND PERIODIC DETENTION HAVE FALLEN ONLY MARGINALLY (0.2% FROM 8.5% PRE TO 8.3% POST AND 0.3% FROM 1.9% PRE TO 1.6% POST RESPECTIVELY). AT THE OTHER END OF THE SCALE, THE FIGURE CLEARLY SHOWS A GREATER REDUCTION IN THE USE OF PENALTIES LESS SEVERE THAN SUSPENDED SENTENCES. SPECIFICALLY, FINES ACCOUNTED FOR THE LARGEST DROP (5.2% FROM 51.7% PRE TO 46.5% POST), FOLLOWED BY COMMUNITY SERVICE ORDERS (1.1% FROM 7.1% PRE TO 6.0% POST). INTERESTINGLY, THERE HAS BEEN AN INCREASE IN THE USE OF NON-CONVICTION DISMISSALS AND BONDS (2.8% FROM 12.5% PRE TO 15.3% POST). A POSSIBLE EXPLANATION MAY BE THAT MAGISTRATES ARE USING THIS OPTION MORE OFTEN TO AVOID IMPOSING HARSH OR MANDATORY PENALTIES FOR CERTAIN OFFENCES, INCLUDING AUTOMATIC LICENCE DISQUALIFICATION PERIODS. TABLE 4 COMPARES THE TRENDS IN PENALTIES IMPOSED IN THE PRE (5 JULY 1997 TO 2 APRIL 2000) AND POST (3 APRIL 2000 TO 31 DECEMBER 2002) SUSPENDED SENTENCE PERIODS IN THE HIGHER COURTS. JUST OVER ONE IN TEN OFFENDERS (11.7%) IN THE HIGHER COURTS RECEIVED A SUSPENDED SENTENCE. SURPRISINGLY, TABLE 4 SHOWS THAT RATHER THAN PENALTIES MORE SEVERE THAN SUSPENDED SENTENCES DECREASING, THEY HAVE IN FACT INCREASED SLIGHTLY (1.1% FROM 72.9% PRE TO 74.0% POST) WHILST PENALTIES LESS SEVERE THAN SUSPENDED SENTENCES HAVE SUBSTANTIALLY DECREASED (12.8% FROM 27.1% PRE TO 14.3% POST). AS WITH LOCAL COURTS, SINCE THE REINTRODUCTION OF SUSPENDED SENTENCES, ALL TEN OFFENCES IDENTIFIED IN TABLE 4 SHOWED A DROP IN THE PROPORTION OF CASES WHERE A PENALTY LESS SEVERE THAN A SUSPENDED SENTENCE WAS IMPOSED. ON THE OTHER HAND, THE USE OF PENALTIES MORE SEVERE THAN SUSPENDED SENTENCES VARIED ACCORDING TO THE TYPE OF OFFENCE — SOME INCREASED, SOME DECREASED AND SOME WERE UNCHANGED. THE OFFENCE WITH THE GREATEST USE OF SUSPENDED SENTENCES WAS SUPPLY LESS THAN COMMERCIAL QUANTITY OF A PROHIBITED DRUG (21.8%). FOR THIS OFFENCE GROUP, IT APPEARS THAT SUSPENDED SENTENCES HAVE BEEN DRAWN FROM PENALTIES LESS SEVERE (11.8% FROM 32.9% PRE TO 21.1% POST) AND MORE SEVERE (10.0% FROM 67.1% PRE TO 57.1% POST). THIS TYPE OF OFFENCE ALSO HAD THE HIGHEST DROP IN PENALTIES MORE SEVERE THAN SUSPENDED SENTENCES. THE OFFENCE WITH THE GREATEST DROP IN THE USE OF PENALTIES LESS SEVERE THAN SUSPENDED SENTENCES WAS ASSAULT OCCASIONING ACTUAL BODILY HARM. SUSPENDED SENTENCES ACCOUNTED FOR 18.9% OF ALL PENALTIES IMPOSED FOR THIS OFFENCE. INTERESTINGLY, ALMOST ALL OF THOSE SUSPENDED SENTENCES APPEAR TO HAVE COME FROM PENALTIES LESS SEVERE THAN SUSPENDED SENTENCES (18.8% FROM 57.1% PRE TO 38.3% POST), WITH LITTLE CHANGE IN THE USE OF PENALTIES MORE SEVERE THAN SUSPENDED SENTENCES. AGGRAVATED ROBBERY OR STEAL FROM THE PERSON AND ROBBERY BEING ARMED OR IN COMPANY FOLLOWED A SIMILAR PATTERN. USE OR POSSESS WEAPON TO RESIST ARREST, ETC WHERE APPROXIMATELY ONE IN TEN OFFENDERS (10.7%) RECEIVED A SUSPENDED SENTENCE, SHOWED EVEN A GREATER DROP (15.4%) IN THE USE OF PENALTIES LESS SEVERE THAN SUSPENDED SENTENCES (FROM 28.1% PRE TO 12.7% POST) THAN THE PROPORTION OF SUSPENDED SENTENCES IMPOSED. CONSEQUENTLY, THERE WAS AN INCREASE IN THE USE OF PENALTIES MORE SEVERE THAN SUSPENDED SENTENCES (4.8% FROM 71.9% PRE TO 76.7% POST). SIMILARLY, BREAK, ENTER AND COMMIT A SERIOUS INDICTABLE OFFENCE EXPERIENCED AN INCREASE IN THE USE OF PENALTIES MORE SEVERE THAN SUSPENDED SENTENCES (4.5% FROM 76.8% PRE TO 81.3% POST). SUPPLY PROHIBITED DRUG ON AN ONGOING BASIS WAS THE ONLY TOP TEN OFFENCE WHERE THE NUMBER OF SUSPENDED SENTENCES IMPOSED (9.9%) SEEMED TO BE DRAWN MAINLY FROM PENALTIES MORE SEVERE THAN SUSPENDED SENTENCES (9.3% FROM 93.6% PRE TO 84.3% POST). THIS IS UNDERSTANDABLE GIVEN THE HIGH PROPORTION OF OFFENDERS RECEIVING A TERM OF FULL-TIME CUSTODY OR AN ALTERNATIVE SENTENCE TO FULL-TIME CUSTODY FOR THIS OFFENCE. FIGURE 2 DISPLAYS THE FULL RANGE OF SENTENCES IMPOSED FOR ALL OFFENCES IN THE HIGHER COURTS FOR THE PRE AND POST PERIODS. AS ALREADY DISCUSSED, SINCE THE AVAILABILITY OF SUSPENDED SENTENCES AS A PENALTY OPTION, THERE HAS BEEN A SLIGHT INCREASE IN THE USE OF PENALTIES MORE SEVERE THAN SUSPENDED SENTENCES. IN PARTICULAR, THE USE OF FULL-TIME CUSTODY HAS INCREASED (3.4% FROM 63.8% TO 67.2%) WHILE PERIODIC DETENTION AND HOME DETENTION HAVE FALLEN MARGINALLY (2.0% FROM 8.4% PRE TO 6.4% POST AND 0.3% FROM 0.7% PRE TO 0.4% POSTRESPECTIVELY). AT THE OTHER END OF THE SCALE, THE FIGURE CLEARLY SHOWS A GREATER REDUCTION IN THE USE OF PENALTIES LESS SEVERE THAN SUSPENDED SENTENCES. SPECIFICALLY, BONDS (6.3% FROM 15.0% PRE TO 8.7% POST) AND COMMUNITY SERVICE ORDERS (6.3% FROM 10.5% PRE TO 4.2% POST) SEEM TO ACCOUNT FOR MOST OF THIS REDUCTION. SECTION 33(1B) WAS INSERTED INTO THE CHILDREN (CRIMINAL PROCEEDINGS) ACT 1987 IN 2000.64 IT PROVIDES FOR SUSPENSION OF THE EXECUTION OF A CONTROL ORDER FOR A SPECIFIED PERIOD (NOT EXCEEDING THE TERM OF THE ORDER) ON CONDITION THAT THE OFFENDER ENTER A GOOD BEHAVIOUR BOND. SINCE THE INTRODUCTION OF SUSPENDED CONTROL ORDERS, 189 HAVE BEEN IMPOSED OUT OF 11,917 CASES, REPRESENTING 1.7% OF ALL PENALTIES IMPOSED IN THE CHILDREN’S COURT.65 OF THOSE 189 SUSPENDED CONTROL ORDERS IMPOSED, 187 REQUIRED SUPERVISION. THE MEDIAN TERM WAS EIGHT MONTHS AND THE MOST COMMON TERM WAS SIX MONTHS (22%), HOWEVER TERMS OF 12 MONTHS (20.4%) AND NINE MONTHS (19.9%) WERE ALMOST AS COMMON. A TOTAL OF 9,278 SUSPENDED SENTENCES HAVE BEEN IMPOSED IN THE LOCAL COURTS AND 894 IN THE HIGHER COURTS TO 31 DECEMBER 2002. THESE ACCOUNT FOR 4.2% OF ALL PENALTIES HANDED DOWN IN THE LOCAL COURTS WHERE IMPRISONMENT WAS AN AVAILABLE PENALTY,68 AND 11.7% OF PENALTIES IN THE HIGHER COURTS DURING THIS TIME PERIOD. THE HIGHER PROPORTIONAL USE IN THE HIGHER COURTS IS NOT UNEXPECTED SINCE SUSPENDED SENTENCES SHOULD BE IMPOSED AS AN ALTERNATIVE TO FULL-TIME CUSTODY, AND THE HIGHER COURTS DEAL WITH MORE SERIOUS CRIME ATTRACTING GREATER MAXIMUM PENALTIES. THE OFFENCES ATTRACTING SUSPENDED SENTENCES MOST OFTEN WERE DRIVE WHILST DISQUALIFIED IN THE LOCAL COURTS AND SUPPLY LESS THAN A COMMERCIAL QUANTITY OF A PROHIBITED DRUG IN THE HIGHER COURTS. IN THE LOCAL COURTS, MAGISTRATES MOST COMMONLY IMPOSE SENTENCES OF SIX OR 12 MONTHS DURATION, AND JUDGES IN THE HIGHER COURTS ARE MOST LIKELY TO IMPOSE TERMS OF 24 MONTHS DURATION. THE HIGHER COURTS ARE ALSO MORE LIKELY TO MAKE PROBATIONARY SUPERVISION A CONDITION OF SUSPENDED SENTENCES. DESPITE THE FACT THAT THE LEGISLATION REQUIRES SUSPENDED SENTENCES TO BE STRICTLY IMPOSED AS AN ALTERNATIVE TO FULL-TIME CUSTODY, THE STATISTICS TEND TO SUGGEST THAT COURTS SOMETIMES IMPOSE SUSPENDED SENTENCES IN PLACE OF LESS SEVERE PENALTIES, SUCH AS COMMUNITY SERVICE ORDERS AND GOOD BEHAVIOUR BONDS. AS SUCH, THERE IS LITTLE EVIDENCE TO DATE TO INDICATE THAT SUSPENDED SENTENCES HAVE CONTRIBUTED TO ANY REAL REDUCTION IN THE PRISON POPULATION. IN FACT, OVER THE PERIOD STUDIED, THERE WAS A SLIGHT INCREASE IN THE USE OF FULL-TIME CUSTODY IN THE HIGHER COURTS AND A REDUCTION IN COMMUNITY SERVICE ORDERS AND BONDS. NO SUCH EXPLOSION IN THE USE OF SUSPENDED SENTENCES HAS OCCURRED IN NSW AND MORE TIME IS NEEDED BEFORE THE EFFICACY OF THIS NEW DISPOSITION CAN BE EVALUATED IN THIS JURISDICTION. WHILE OUR STATISTICS ALSO SUGGEST NET WIDENING, IT IS IMPORTANT TO NOTE THAT SUCH SENTENCING PATTERNS MAY BE A RESULT OF OTHER FACTORS SUCH AS HARSHER SENTENCING PRACTICES GENERALLY, PARTLY FUELLED BY COMMUNITY EXPECTATIONS REGARDING SENTENCING FOR CERTAIN SERIOUS OFFENCES AND PARTLY BY AN INCREASE IN SERIOUS CRIME IN THE PERIOD SINCE SUSPENDED SENTENCES WERE REINTRODUCED. FURTHERMORE, THE IMPACT OF GUIDELINE JUDGMENTS ON SENTENCING PRACTICE MAY ALSO BE A CONTRIBUTING FACTOR. FOR THESE REASONS WE ARE UNABLE TO CONCLUDE THAT BUT FOR SUSPENDED SENTENCES THE RATE OF IMPRISONMENT WOULD BE EVEN HIGHER THAN IT IS. ON THE OTHER HAND, THE RELATIVELY SMALL USE OF THE SUSPENDED SENTENCE PENALTY MAY SUGGEST THERE IS SCOPE FOR INCREASING ITS USE, AND PERHAPS THEN A NOTICEABLE IMPACT ON IMPRISONMENT MAY BE DISCERNED. 1 NSW LAW REFORM COMMISSION, SENTENCING, 1996, DISCUSSION PAPER 33, P 353. 2 CRIMES ACT 1900, SS 562 AND 558 (REPEALED); SEE NSW LAW REFORM COMMISSION, OP CIT N 1, P 352. 3 NSW LAW REFORM COMMISSION, OP CIT N 1, PP 352–353. 4 THE STUDY INCLUDES NSW LOCAL AND HIGHER COURTS. 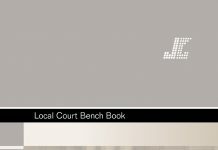 REFERENCE TO HIGHER COURTS INCLUDES BOTH THE SUPREME AND DISTRICT COURTS. 5 SUBJECT TO THE REQUIREMENTS OF S 44 OF THE CRIMINAL (SENTENCING PROCEDURE) ACT 1999 DISCUSSED BELOW. 6 R V ZAMAGIAS  NSWCCA 17. 7 DINSDALE V THE QUEEN (2000) 202 CLR 321 AT ; R V FOSTER  NSWCCA 215; R V BLACKMAN AND WALTERS  NSWCCA 121. 8 DINSDALE V THE QUEEN (2000) 202 CLR 321 AT  PER KIRBY J AND R V FOSTER  NSWCCA 215 AT . 9  NSWCCA 215 AT . 10 R V JCE (2000) 120 A CRIM R 18 AT  AND R V ZAMAGIAS  NSWCCA 17 AT . 11 A FREIBERG, SENTENCING REVIEW: PATHWAYS TO JUSTICE, 2002, DEPARTMENT OF JUSTICE, MELBOURNE. IT HAS BEEN SAID THAT DOUBLE WEIGHING MITIGATING FACTORS FAVOURS WHITE COLLAR AND MIDDLE CLASS OFFENDERS: SEE K WARNER, SENTENCING, 2002, ISSUES PAPER NO 2, TASMANIA LAW REFORM INSTITUTE, PP 69–70. 12 DINSDALE V THE QUEEN (2000) 202 CLR 321 AT  PER KIRBY J. 13  1 SCR 61 AT –. 14 FOR EXAMPLE, KIRBY J IN DINSDALE V THE QUEEN (2000) 202 CLR 321 AT ; A FREIBERG, SENTENCING REVIEW: DISCUSSION PAPER, 2001, DEPARTMENT OF JUSTICE, MELBOURNE, P 121; AND R V JCE (2000) 120 A CRIM R 18 AT . 15 GOVERNED BY S 5(1) OF THE CRIMES (SENTENCING PROCEDURE) ACT 1999. 16 GOVERNED BY S 12 OF THE CRIMES (SENTENCING PROCEDURE) ACT 1999. 17 R V JCE (2000) 120 A CRIM R 18 AT . 18 WHEN ORDERING A PARTIALLY SUSPENDED SENTENCE THE USUAL PRACTICE WAS TO ORDER THE CUSTODIAL PART OF THE SENTENCE TO BE SERVED BEFORE THE NON-CUSTODIAL PORTION: SEE R V GAMGEE (2001) 124 A CRIM R 469. ALTHOUGH S 12 DID NOT PROVIDE EXPRESSLY FOR THE SUSPENSION ORDER TO COMMENCE AT A FUTURE DATE, IN R V GAMGEETHE NSW COURT OF CRIMINAL APPEAL, BY MAJORITY, HELD THAT SUSPENSION OF PART OF THE TERM OF IMPRISONMENT IMPOSED WAS PERMISSIBLE UNDER THE SECTION. THE COURT, BY MAJORITY, EXPRESSED THE VIEW THAT PARTIAL SUSPENSION COULD BE OF AN INITIAL PORTION OF THE TERM OF IMPRISONMENT TO ENABLE SOME EVENT TO TAKE PLACE SUCH AS A PREGNANCY OR A COURSE OF STUDY. ALTERNATIVELY THEY AGREED, BY MAJORITY, THAT A PARTIAL SUSPENSION MAY ALSO OCCUR AT THE LATTER END OF THE TERM IMPOSED (AT ). AS WILL BE DISCUSSED, IF THE OFFENDER IS SENTENCED FOR A COMMONWEALTH OFFENCE, THE COURT CAN PARTIALLY SUSPEND THE SENTENCE IMPOSED: CRIMES ACT 1914 (CTH), S 20(1)(B). 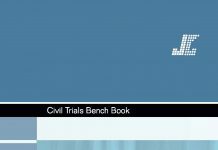 19 SEE R V EDIGAROV  NSWCCA 436 AT – PER WOOD CJ AT CL. 21  NSWCCA 436 AT – PER WOOD CJ AT CL. 22  NSWCCA 533 AT –. 23 R V JCE (2000) 120 A CRIM R 18. 24  NSWCCA 17 AT . 25 (2000) 120 A CRIM R 18 AT –. 26 SEE ALSO R V SALDANERI  NSWCCA 480 AT  PER SPIGELMAN CJ. 27 (2000) 120 A CRIM R 18 AT . 28 (2000) 202 CLR 321. 29 R V PERCY  TAS SR 62 AT 74; R V CAUSBY  TAS R 54 AT 67; DAVIES V DEVERELL (1992) 1 TAS R 214 AT 220; R V GP (1997) 18 WAR 196 AT 234; R V LIDDINGTON (1997) 18 WAR 394 AT 398–399, 406. 30 DINSDALE V THE QUEEN (2000) 202 CLR 321 AT . 31 R V ZAMAGIAS  NSWCCA 17 AT . 37CRIMES (SENTENCING PROCEDURE) ACT 1999, S 98(3). 39 TASMANIA: SENTENCING ACT 1997, S 7(B) AND PT 3, DIV 4; WESTERN AUSTRALIA: SENTENCING ACT 1995, SS 76, 77, 78, 79 AND 80; VICTORIA: SENTENCING ACT 1991, SS 27, 29 AND 31; QUEENSLAND: PENALTIES AND SENTENCES ACT 1992, PT 8; SOUTH AUSTRALIA: CRIMINAL LAW (SENTENCING) ACT 1988, S 38; NORTHERN TERRITORY:SENTENCING ACT 1995, SS 40, 41, 42, 43; COMMONWEALTH: CRIMES ACT 1914, S 20(1)(B). 40 THEREFORE, ALTHOUGH THIS STUDY FOCUSES ON STATE RATHER THAN COMMONWEALTH OFFENCES, CONDITIONAL RELEASE ORDERS ARE SUSPENDED SENTENCES AND HAVE BEEN INCLUDED IN OUR ANALYSIS IN PART 2 OF THIS PAPER. 41 NEW SOUTH WALES PARLIAMENTARY DEBATES (HANSARD), LEGISLATIVE ASSEMBLY, 28 OCTOBER 1999, P 2326. 42 R V LOCKE AND PATERSON (1973) 6 SASR 298 AT 301; FREIBERG, 2002, OP CIT N 11, P 121; M BAGARIC, “SUSPENDED SENTENCES AND PREVENTATIVE SENTENCES” (1999) 22(2) UNSW LAW JOURNAL 535 AT 547. 43 DINSDALE V THE QUEEN (2000) 202 CLR 321 AT  PER KIRBY J. 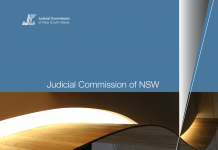 44 NSW LAW REFORM COMMISSION, SENTENCING, 1996, REPORT 79, SYDNEY AT 4.21. 45 (2000) 202 CLR 321 AT . 46 BAGARIC, OP CIT N 42 AT 547–548. 47 R V BRADY  ABCA 7 (ALBERTA COURT OF APPEAL). 48 BAGARIC, OP CIT N 42 AT 549. 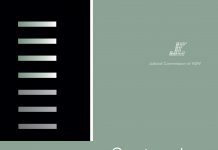 49 JENNY PEARSON AND ASSOCIATES PTY LTD, REVIEW OF COMMUNITY BASED OFFENDER PROGRAMS, FINAL REPORT, 1999, JUSTICE STRATEGY UNIT, ATTORNEY GENERAL’S DEPARTMENT, SOUTH AUSTRALIA, P 40. SEE FREIBERG, 2002, OP CIT N 11, P 121 AND WARNER, OP CIT N 11, P 69. <HTTP://WWW.ABC.NET.AU/LATELINE/S172177.HTM> AND “SEPARATE LAWS FOR LAWS”, THE COURIER-MAIL, 9 SEPTEMBER 2000. RICHARD ACKLAND EVEN DESCRIBED THE LAWS AS BEING “THRASHED WITH A LEGAL FEATHER”: K WARNER, “SENTENCING REVIEW 1999” (2000) 24 CRIMINAL LAW JOURNAL 355 AT 362. 51 R V MAKIKE  VSC 340: SEE, FOR EXAMPLE, “SUSPENDED SENTENCE FOR MAN WHO KILLED SON IN DRUG ROW”, THE AGE, 27 AUGUST 2003. 52 R V JCE (2000) 120 A CRIM R 18 AT  AND _; R V ZAMAGIAS  NSWCCA 17 AT ; R V FOSTER  NSWCCA 215 AT . 53 (1976) 13 SASR 516. ELLIOT V HARRIS WAS CITED WITH APPROVAL IN R V FOSTER  NSWCCA 215 AT . 54 (1980) 50 FLR 57. 55 FREIBERG, 2002, OP CIT N 11, P 121. 56 SEE, FOR EXAMPLE, BAGARIC, OP CIT N 42. 57 5 JULY 1997 TO 2 APRIL 2002. 58 3 APRIL 2000 TO 31 DECEMBER 2002. 59 THE JUDICIAL INFORMATION RESEARCH SYSTEM. 60 IF A CONVICTION APPEAL RESULTED IN AN ACQUITTAL OR A NEW TRIAL, THE RECORD WAS REMOVED FROM THE DATA. ALL SENTENCE APPEALS WHICH WERE REMITTED TO THE LOWER COURT FOR RESENTENCING, WERE ALSO EXCLUDED FROM THE DATA. NEW PENALTIES FROM SUCCESSFUL SENTENCE APPEALS (SEVERITY AND INADEQUACY) REPLACED THE FIRST INSTANCE PENALTIES. 61 ONLY 24 OFFENDERS (2.7% OF ALL SUSPENDED SENTENCES) WERE IN THIS CATEGORY IN THE HIGHER COURTS. IN THIS PAPER, CONDITIONAL RELEASE ORDERS, WHERE PART OF THE SENTENCE IS SERVED IN CUSTODY, HAVE BEEN RECORDED AS FULL-TIME CUSTODY (148 CASES), RATHER THAN AS A SUSPENDED SENTENCE. IN THE LOCAL COURTS THERE WERE ONLY SIX CASES WHERE A CONDITIONAL RELEASE FORTHWITH WAS ORDERED. 62 FOR EXAMPLE, THE MAXIMUM PENALTY FOR AN OFFENCE UNDER S 114(1) OF THE LIQUOR ACT 1982 INCLUDES IMPRISONMENT WHERE THE OFFENCE IS AGGRAVATED, BUT NOT OTHERWISE. THE DATA DOES NOT ALLOW US TO DETERMINE WHETHER THE OFFENCE WAS AGGRAVATED AND SO THESE HAVE BEEN INCLUDED IN THE STUDY. SIMILARLY, S 9(1)(A) OF THEMOTOR DEALERS ACT 1974 AND S 6(1)(A) OF THE TRAFFIC ACT 1909 PROVIDE FOR IMPRISONMENT ONLY WHERE THE OFFENDER IS COMMITTED FOR A SECOND OR SUBSEQUENT OFFENCE. 63 SEE CRIMES ACT 1900, SS 347–350. 64 THIS SECTION WAS INSERTED BY THE CRIMES LEGISLATION AMENDMENT ACT 2000 AND COMMENCED ON 31 JULY 2000. 65 NO ATTEMPT HAS BEEN MADE TO OMIT OFFENCES THAT DO NOT ATTRACT A SENTENCE OF IMPRISONMENT OR AN ALTERNATIVE TO IMPRISONMENT. CHILDREN’S COURT DATA WAS ONLY AVAILABLE TO 30 JUNE 2002. 66 BAGARIC, OP CIT N 42 AT 542. 68 NOTE: THE LOCAL COURT DATA EXCLUDES 20.5% OF CASES, WHICH REPRESENT THOSE OFFENCES WHERE IMPRISONMENT OR AN ALTERNATIVE TO IMPRISONMENT IS NOT AN AVAILABLE PENALTY AND THE OFFENDER WAS NOT ELIGIBLE TO RECEIVE A SUSPENDED SENTENCE. THE EXCLUSION OF THESE OFFENCES RESULTS IN AN INCREASED RATE OF SUSPENDED SENTENCES IN THE STUDY (4.2%) COMPARED TO WHEN ALL OFFENCES ARE INCLUDED (3.4%).